Freedom Ford Has Landed at SEMA! The AAM Group’s “Freedom Ford” project truck has taken its place at booth SU02 at the SEMA Show after a 2,200-mile, multi-day trek that started in northeast Tennessee at AAM Group™ headquarters and wound its way through Arkansas, Oklahoma, Texas, New Mexico, and Arizona before finally arriving for exhibition in Las Vegas for the anticipated automotive aftermarket extravaganza. 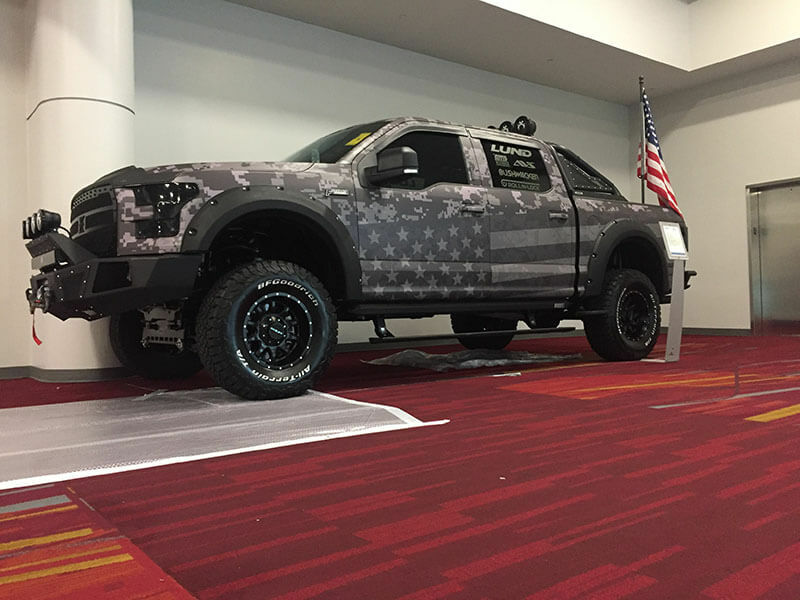 Freshly prepped, polished, and shined for the show, Freedom Ford is a 2016 Ford F-150 wrapped in custom black digital camo blended with an American flag graphic. 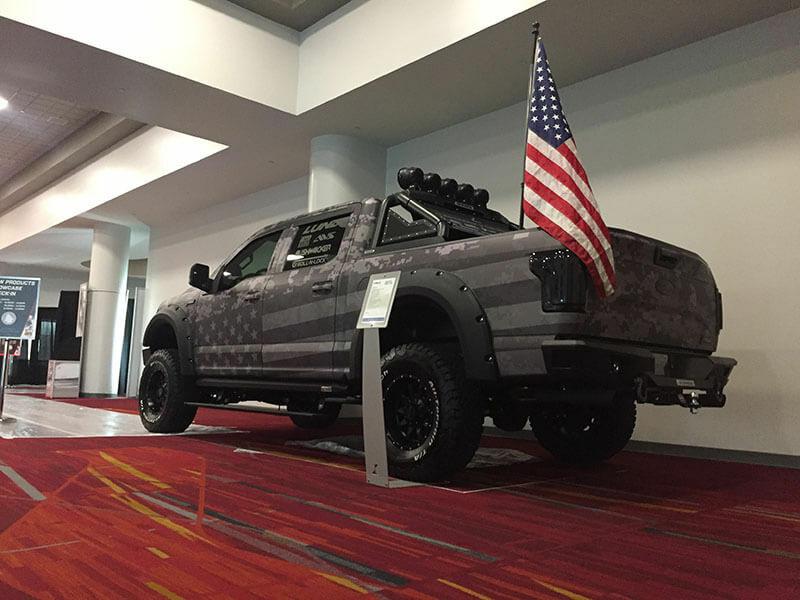 Boasting 35” tires and a 7” lift, Freedom Ford is an imposing presence and a patriotic tribute to the hard-earned liberty we enjoy in the United States thanks to the vigilance and sacrifices of our most courageous citizens. Freedom Ford was outfitted by many of the biggest names in the truck aftermarket, headlined by primary sponsor Lund International. SEMA Show attendees can get an up-close view of Freedom Ford by stopping by event space SU02. 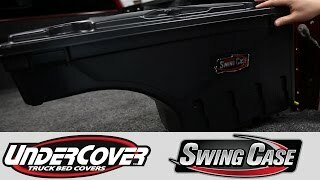 Come inside the Total Truck Centers™ garage as we take you through the installation of some of today’s hottest truck accessories In this episode, we install the SwingCase with help from UnderCover’s very own Michael McLaughlin. 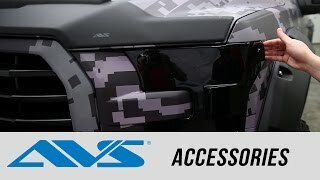 <p>Come inside the Total Truck Centers&#x2122; garage as we take you through the installation of some of today&#8217;s hottest truck accessories In this episode, we install the SwingCase with help from UnderCover&#8217;s very own Michael McLaughlin. Welcome to the 2016 Total Truck Centers Vendor Showcase! 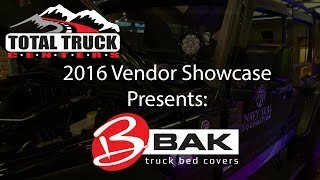 In this video series, we will take you booth by booth with our manufacturers showing their latest products In this episode, BAK Industries’ very own Chris Fleeman goes over the BakFLIP MX4. 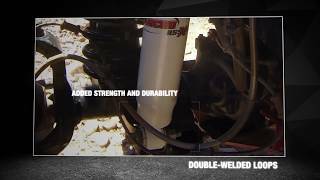 Inside Rancho’s new RS5000X shock is a unique, patented valving system and advanced compression functionality that will improve your vehicle’s overall on- and off-road performance. So, what’s “progressive engagement valving?” At lower speeds or in the earlier stages of the shock’s travel, an eccentric disc in the valve shin stacks will engage the valving at lower frequencies, helping to control the energy of motion as the cycle of the shock increases or decreases in its action. In practical terms, when hitting a pothole or other nonstandard road element, this technology allows for early flow of fluid, which helps to reduce harsh initial impacts and minimize rough rides. Enlarged 2.25” twin tube body. Rebound bumper and protective boot. The new Snyper Triple Tube Rock Rails from Westin Automotive are frame-mounted Jeep side steps in a welded three-tube configuration. Designed to protect your vehicle’s rocker panels from damage, Snyper rock rails make entry and exit safer than ever thanks to a coarse texture that offers superior slip resistance. A welded plate between the 2” upper and lower tubes provides added support. Available from Westin Automotive for two- and four-door Jeep Wranglers in a textured black finish. 2” diameter / .120” thick wall tube. Mount directly to vehicle frame. Coarse texture–coated step area for slip resistance. Welded support plate with laser-cut Snyper logo. Available for 2- and 4-door Wranglers. BOLT locks are designed to open with your vehicle key, saving you time and precious space on your key ring. BOLT produces an entire line of side-cut, weatherproof locks for Ford (also compatible with Lincoln and Mercury) that feature an automatic locking return spring, double ball-bearing locking mechanism, a stainless steel shutter to keep out dirt, and a plate-tumbler sidebar to prevent picking and bumping; plus, they’re backed by BOLT’s limited lifetime warranty. 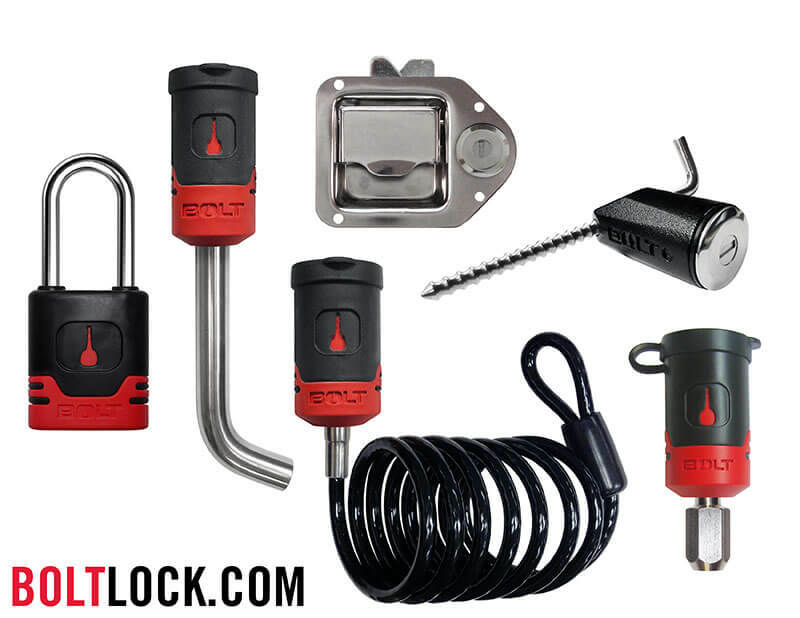 Products in the side-cut Ford line include the 5/8” Receiver Lock (7023585), which fits Class 3, 4, and 5 hitches; 2” Padlock (7023540) with chrome-plated 5/16” hardened-steel shackle; Toolbox Latch retrofit kit (7023550); 6’ Cable Lock (7023722) with 1/4” black vinyl-coated coiled cable; and a Coupler Pin Lock (7025290) that fits couplers from 1/2” to 3-3/8”. Opens with your vehicle ignition key. 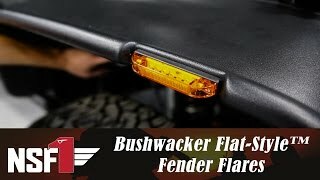 Works with Ford, Lincoln, and Mercury keys. 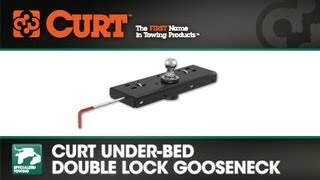 CURT double-lock gooseneck hitches help transform your 4 x 4 into the workhorse it was designed to be. Strong, fast, and easy to operate, they’re named after the two locking pins that engage the trailer ball and hold it in place, giving you twice the security when towing especially heavy trailers. 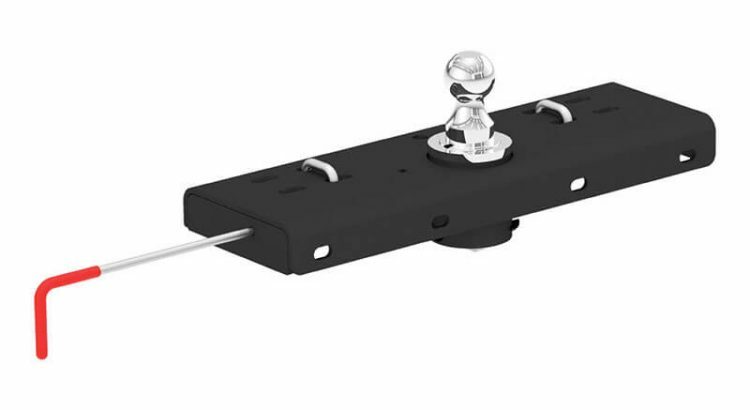 The 60607 mounts underneath your truck bed in conjunction with compatible gooseneck installation brackets and provides a removable 2-5/16″ gooseneck trailer ball with a gross trailer weight capacity up to 30,000 lb. and a tongue weight capacity of 7,500 lb. 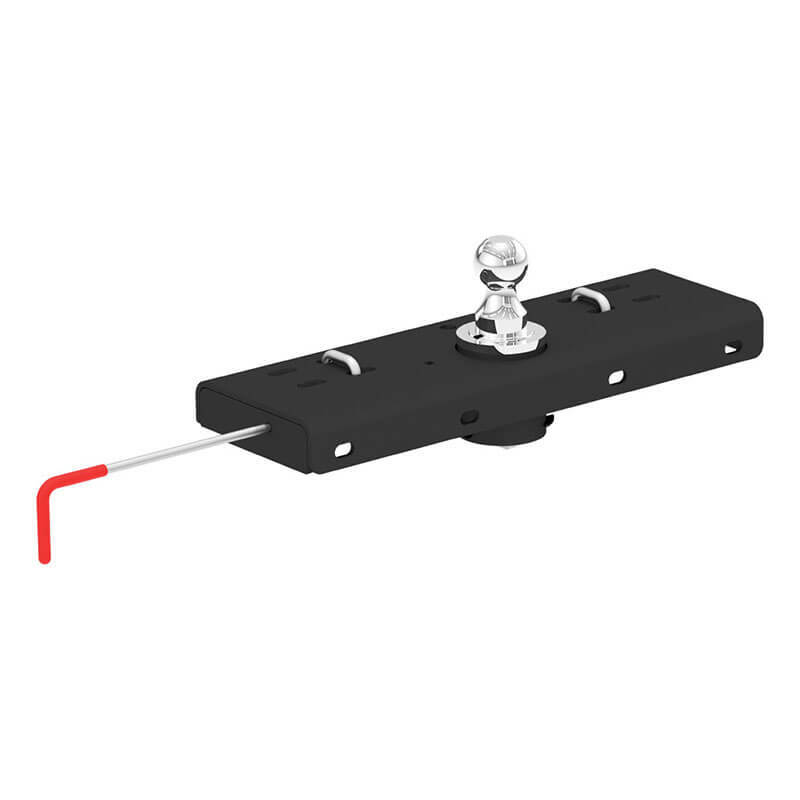 The heavy-duty operating handle allows the trailer ball to be unlocked and flipped over whenever you need full use of your truck bed. CURT loaded this product with solid safety chain hookups, an attractive chrome trim ring, a durable carbide powdercoat, and a limited lifetime warranty. 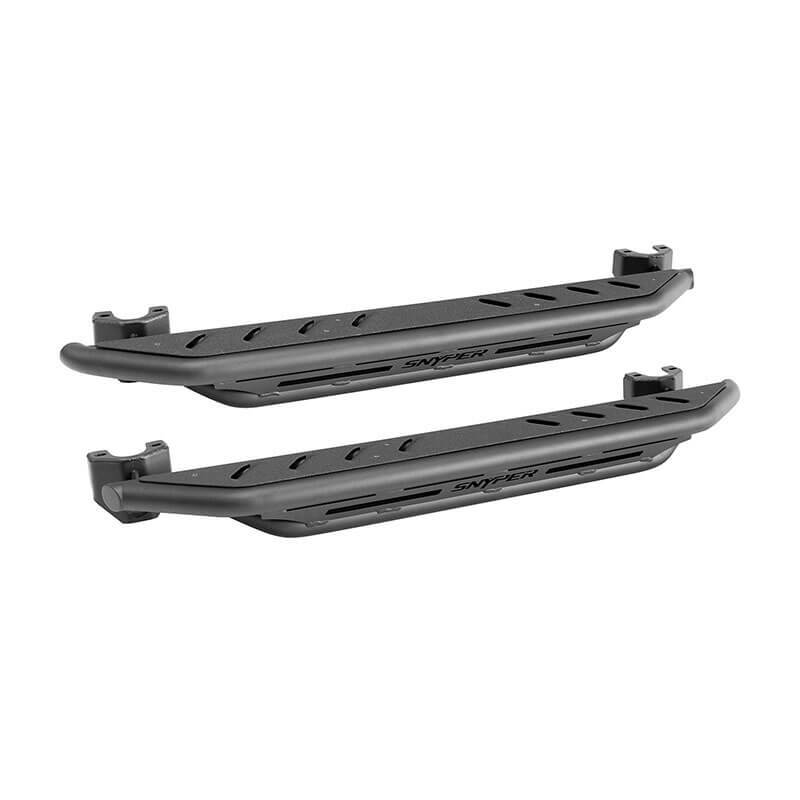 The 60607 is designed to fit several models of Chevrolet, GMC, Dodge, Ram, Ford, and Toyota. Note: Gooseneck hitch weight ratings are limited to vehicle-stated capacities. This product requires under-bed gooseneck installation brackets. Double locking pins for superior trailer and trailer ball security. Flip-and-store ball won’t obstruct truck bed. Accepts up to 30,000 lb. GTW and 7,500 lb. vertical load limit. Removable chrome-plated 2-5/16″ trailer ball fits most gooseneck trailers. No welding or truck bed removal necessary. Heavy-duty handle can be positioned on either side of the vehicle. Chrome-plated trim ring provides a finished look. Rubber cover helps prevent corrosion in trailer ball hole. Spring-loaded safety chain loops and grade 8 hardware. In 2015, The AAM Group partnered with ARIES Automotive to build the NSF1 project Jeep, which benefitted the Navy SEAL Foundation. The experience reinforced how important and powerful it is to give back to our military personnel and their families, who give so much to protect our freedom. 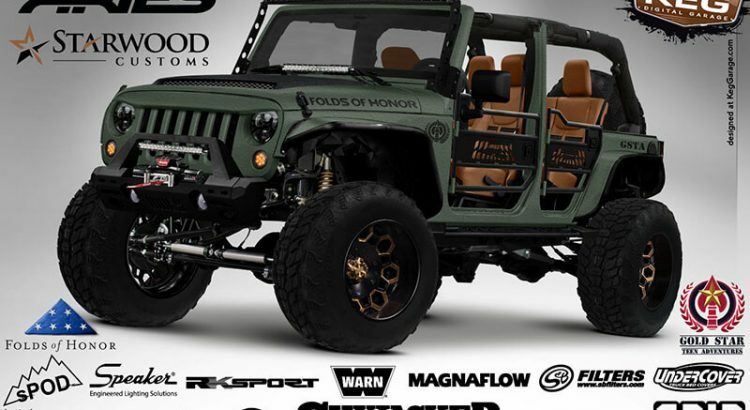 This year, ARIES has partnered with Starwood Customs and KEG Media for a very special Jeep build, this one intended to benefit Folds of Honor and Gold Star Teen Adventures. 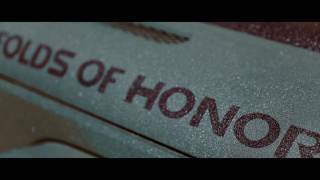 Folds of Honor works to help fill the financial gaps experienced by more than one million dependents adversely affected by war. Gold Star Teen Adventures enables healing through programs that develop character and leadership skills for the youth of personnel who are lost in the line of duty. 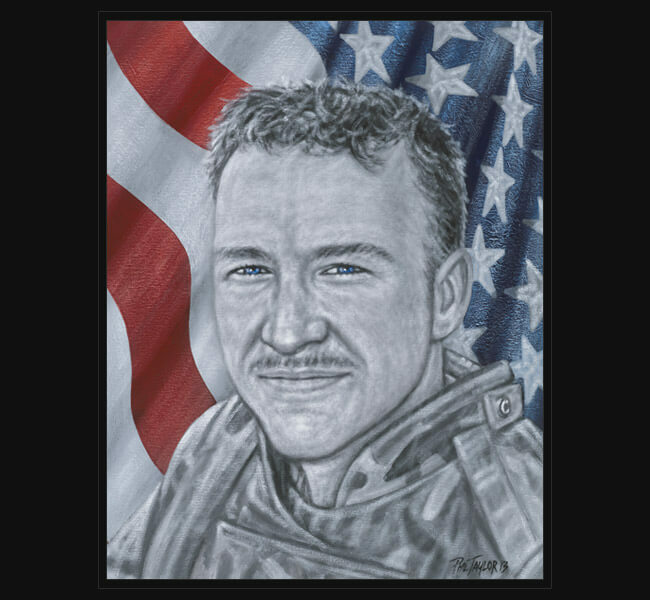 In 2004, during Operation Iraqi Freedom, Army SPC Stephen P. Downing II (assigned to 2nd Battalion, 17th Field Artillery) was killed by enemy fire while conducting combat operations in Ramadi, Iraq. SPC Downing left behind his family—Leann, Taylor, and Stephen—who are the owners of this Jeep and have directly benefited from the help and support provided by Folds of Honor and Gold Star Teen Adventures. ARIES outfitted the Jeep with several of its new and classic products, including front and rear bumpers, hood and windshield light mounts, flat fenders and inner fender liners, LED lighting, a swing-away tire carrier, tube doors, security cargo lid, rocker steps, StyleGuard floor liners, and more. The Jeep will be unveiled at the ARIES booth preview event on October 31 at the 2016 SEMA Show in Las Vegas, NV.